If you’re selling Lake Michigan frontage property or real estate in Michigan, you need a unique and special broker. Selling waterfront property is different than selling traditional residential real estate. There’s no question that it takes a different marketing strategy, but even before that, it takes an ability to see the task differently. You see, traditional real estate brokers approach the task the way they’ve always approached it, that is, to put a sign at the property and list it in the MLS. Oh sure, they’ll also put the property on their own website, and general websites like Zillow, Trulia, Realtor.com, and others, but all of this presupposes that the target audience for the property knows where to look for it. In other words, the traditional real estate world is driven by geography. Have you ever noticed that the first field you have to enter on 99% of real estate websites is for the city, town or zip code? Well, guess what? A large percentage of buyers of Lake Michigan homes and cottages don’t know the city, town, or zip code! What they do know is what they’re looking for. In fact, they can typically describe it in great detail. They’ve imagined it. They’ve felt it. They can see it in their mind’s eye. And they know how far they’re willing to drive (or fly) to get to it. So, this means that the first step for sellers of Lake Michigan homes, cottages, and land is to find a real estate agent like those at Michigan Lifestyle Properties, because we look at the marketing of non-traditional real estate differently. We advertise real estate by property type. We Have a Unique Website Dedicated to Selling Lake Michigan Real Estate. It’s This Site. And Buyers Will Find it Just Like You Did. Everyone knows that the vast majority of Lake Michigan property buyers begin their search online, and these buyers are using search terms that relate to the type of property they’re seeking, so you want a broker with a specialized website that will attract those buyers to your property. United Country features over 25 separate Lifestyle Real Estate Websites, including sites dedicated to lakefront homes and coastal properties. When we represent your property for sale, it will appear on the sites where buyers are most likely to be looking. We know that buyers of lakefront homes and cottages also search on websites like LakeHouse, LakeHousesOfMichigan, and others, so we promote all of our property listings on those sites as well. 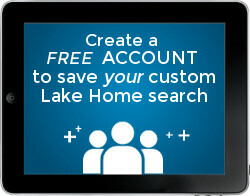 We Have Our Own National and Local Catalogs that Feature Lake Michigan Home Listings. We know that many buyers of Lake Michigan homes and cottages will come from the Chicago and northern Indiana areas, so we promote our listings to the 200+ United Real Estate Agents who serve buyers and sellers in the greater Chicagoland area.